If charities want to retain the ability to engage in advocacy, they will have to push back against those who believe participation in the public contest of ideas should be restricted to the rich and powerful, writes Community Council for Australia CEO David Crosbie. If charities want to retain the ability to engage in advocacy, they will have to push back against those who believe participation in the public contest of ideas should be restricted to the rich and powerful, write Community Council for Australia CEO David Crosbie. Some members of government believe that if you give food and blankets to the homeless to keep them warm at night, you are being charitable, but if you start asking why so many are homeless and seek to change housing policies, you are a left-wing agitator. These same government members believe that charities engaged in advocacy are not deserving of community support or government concessions. Within this worldview, charities have no role in the contest of ideas about the kind of society we live in. Anti-charity advocacy campaigners also argue that the charities sector is too influential. My experience is that political advocacy in Australia is dominated by those with the money and power to get what they want from politicians. Charities rarely breathe the rarefied air of sumptuous dinners, expensive wines and late night personal chats with our political leaders. Few charities can afford to fly the deputy prime minister and other members of the Cabinet to India for a private wedding with a select group of multi-millionaire friends. Even fewer charities can offer sympathetic coverage in the media outlets they own. It is no accident that when the alcohol industry or the Pharmacy Guild or the Minerals Council of Australia or Clubs Australia ask for something, politicians take notice. Like the NRA in the US, these groups advocate self-serving policies. They have never had to establish they provide a public benefit, yet all their expenditure on lobbying – estimated at over $1 billion each year in Australia – is written off as a tax-free investment. Charities also enter into any contest of ideas with an imposed handicap. Charities cannot donate to political parties, cannot support a candidate, cannot support a political party, cannot hand out how to vote cards. Charities can advocate for their cause or their community, but only for their cause and their community. No such restrictions apply to the big influencers in Australian politics who can not only donate millions of dollars, but also offer million-dollar jobs to retiring politicians, run their own million-dollar campaigns, and contribute their resources and staff in support of politicians willing to champion their interests. And herein lies the frustration of many charities – democracy sometimes feels like two wolves and a sheep voting on what to have for dinner (James Bovard). As charities, we lack the sharp teeth of voracious vested interests and multinationals. Now it appears the government is seeking to limit the advocacy of charities. By including charities in the proposed new legislation around foreign donations, the government is effectively seeking to audit both the advocacy activities of charities (how much did you spend on advocacy last year) and their sources of income (any foreign philanthropy or support means you might be tainted and therefore have to be treated like a political party). While measured and proportionate transparency is appropriate, we know from international experience that when governments interrogate the lobbying activities of charities, require an audit of the income and details of their advocacy, it serves to frighten many charities into inaction. Many will not serve their community or cause by speaking up during elections to avoid having any additional reporting requirements imposed. This is exactly what happened in the UK during the recent elections. The full statement – including all the measures the UN Rapporteur felt were “closing the public space” are can be see here. All charities are accountable to their communities as they should be. Donors vote with their own money to support or not support various charities. Communities choose to engage or not engage with charities and the services they offer. Government contracts impose a level of accountability on all contracted charities that the Productivity Commission described as creeping micro management. Charities that fail to serve their communities do not survive. More than 14,000 charities have been deregistered in the last four years. 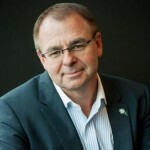 The degree to which the government is mounting a targeted campaign against charities and their advocacy will become clearer with the appointment of the new ACNC commissioner. There has been some suggestion that an anti-charity campaigner with limited knowledge, skills or expertise be appointed as a sheriff to clean up the charities sector. Should the government adopt this approach, it will be interesting to see how important the support and co-operation of the charities sector is to ensuring the regulator can operate efficiently and effectively. Charities are advocates on behalf of the causes and communities they serve. This advocacy is exactly what the community expect of their charities and why their communities trust and support them. Like most Australians, I do not agree with everything every charity says, but I will defend their right to say it without government interference as long as they are pursuing their charitable purpose. If charities want to retain the ability to engage in advocacy, they will have to push back against those who believe participation in the public contest of ideas should be restricted to the rich and powerful. David that was a very well written article. Those that speak out against charities often do it from the position of comfort and insulation. I sometimes bemoan the way in which money is spent, not due to the amount but because a little more spent, a little more wisely would be so beneficial for the whole of society. Our Australian culture now is so very rich that many of us need no more and if by good governance we embrace the really disadvantaged everybody benefits. Well written article David and you have brought many relevant points. But where is the answer? We are bombarded by calls of discrimination from Parliament buildings and special interest groups on all sorts of levels but surely this is a clear cut example of closing down freedom of speech of a certain ‘industry’. If charities and their representatives are not able to lobby/ advocate, how do the collective in Canberra and local State bodies learn what is needed? Is it left to the special chosen few who win the popularity contest of Australian of the Year the right to be heard for 12 months and receive exclusive promotion and monies? Where are the hundreds of equally important causes vying for the right to be heard? The charitable and community sector is one of the largest employers in the nation can we not change our MO and start thinking and talking in a strategic, business like manner to gain impact. We already have the empathy and commitment to humanity, so lets get a lot more strategic pointing out what we offer and contribute instead of what government and community can give us.